Is Banksy Tagging Oscar? 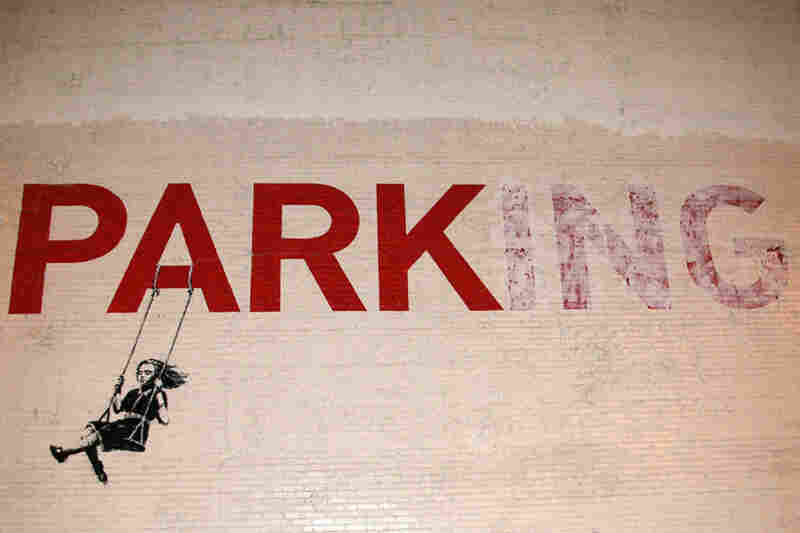 A Campaign That's Art Itself Exit Through the Gift Shop, a documentary by secretive street artist Banksy, is up for an Academy Award on Sunday night. Whether he's campaigning for the award, and what might happen if he wins it, depends on whom you ask. 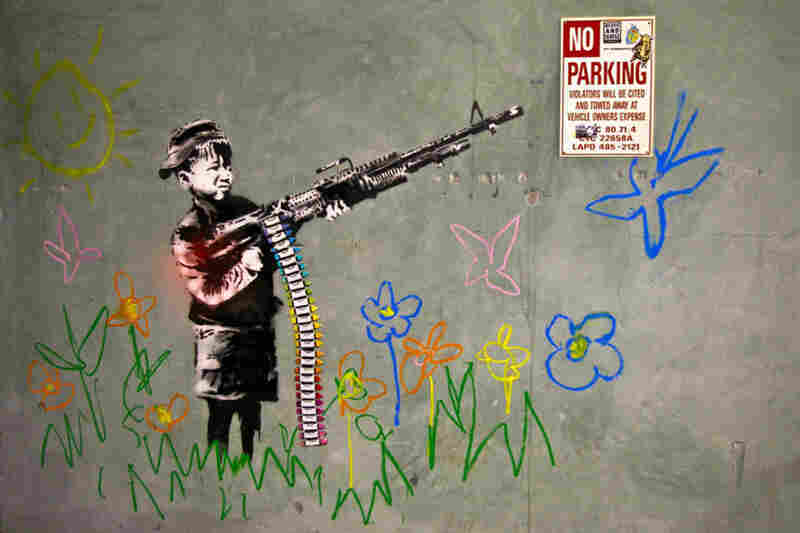 The elusive artist Banksy became well known for creating street art around the world as documented in his film, Exit Through the Gift Shop. It's one of five films nominated in the Best Documentary Feature category for Sunday's Academy Awards. But leading up to the Oscars, Banky's rumored to have spray-painted and stenciled walls, billboards, and other spots around Los Angeles. You can find one of the graffiti pieces in an alleyway behind the clothing store Urban Outfitters near UCLA. 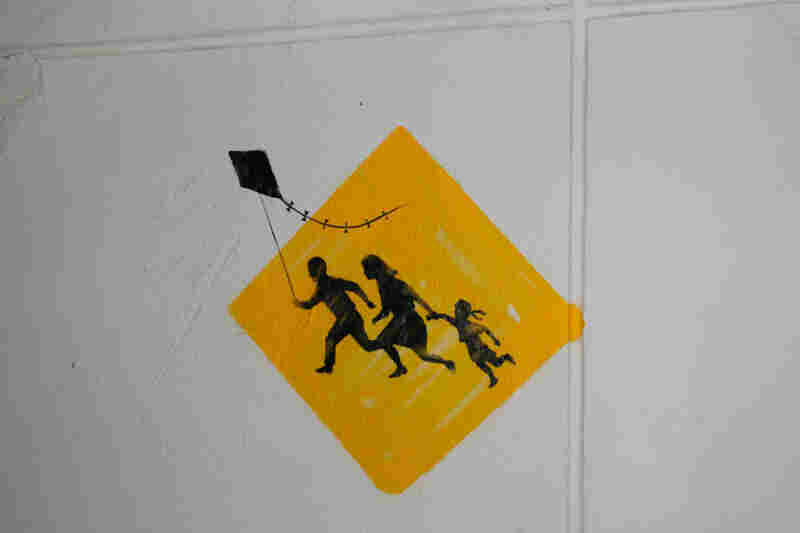 It's a stencil of a little boy pointing a machine gun. Instead of bullets in the cartridges, there are crayons. "This one's called the Crayola shooter," says UCLA student Sara Tobin. "He's making a commentary on children that are forced to participate in war. 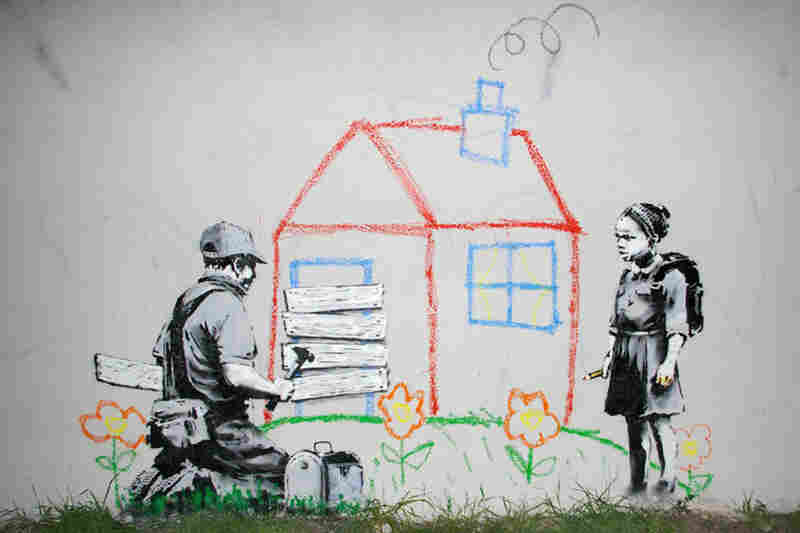 Banksy's a great artist." Another student, Logan Yuzna, is sure this is a Banksy original. "If not, then from a really good copycat artist." Yuzna says he thinks the graffiti popping up around L.A. could be part of a campaign to win the Oscar for Banksy's documentary. "Regardless of whether or not he did this for promotion of the film, it is gonna help a whole lot. It's free advertising." Variety film critic and editor Peter Debruge agrees. "As campaign strategies go for winning an Oscar, it's about as unconventional as it gets," he says. "First of all, it's illegal." Debruge says that in the political campaigning leading into awards season, most filmmakers gun for an Oscar by schmoozing at festivals or offering chances to rub elbows with Hollywood A-listers. "I'm not sure that the generally conservative older voting audience at the Academy really responds to graffiti as opposed to wine and cheese parties or the other kinds of strategies the other films use," he says. 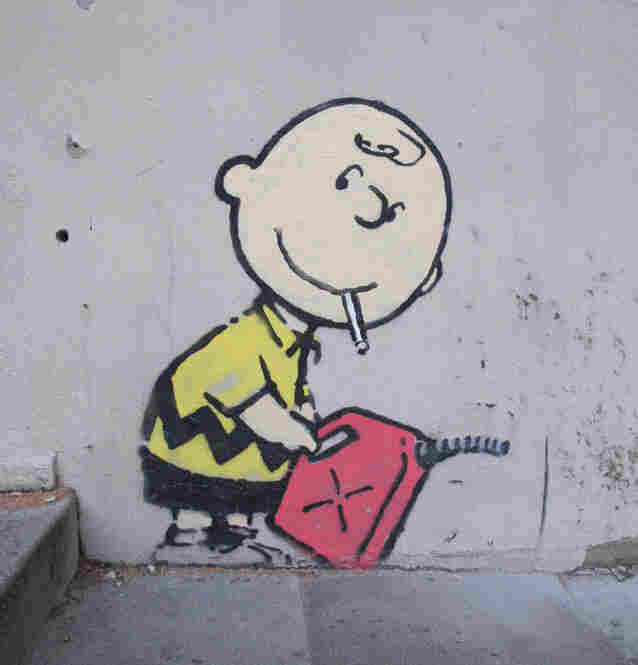 "But this is Banksy. This is what he's expected to do." Bombing walls with graffiti is certainly a creative way to get around the fact that the filmmaker fiercely guards his anonymity. 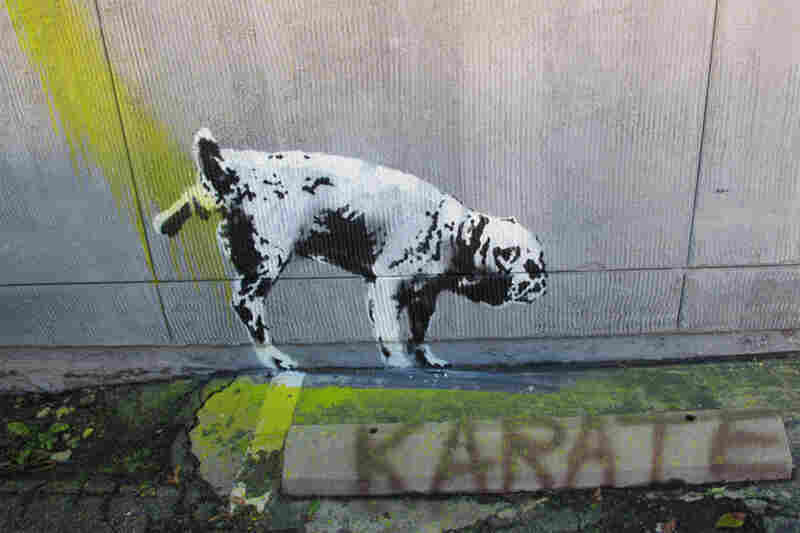 For years, the secretive Banksy has created sensations with his stealth street art around the world. And in his documentary, he's shown only in the shadows, hooded, and with his voice distorted. "The film is the story of what happened when this guy tried to make a documentary about me, but he was actually a lot more interesting than I am," says Banksy in the film. "So now the film's kind of about him." I tried in vain to score an interview with Bansky, but my requests were pretty much laughed at. Even the film's main protagonist, the fame-seeking artist known as Mr. Brainwash, didn't want to talk. 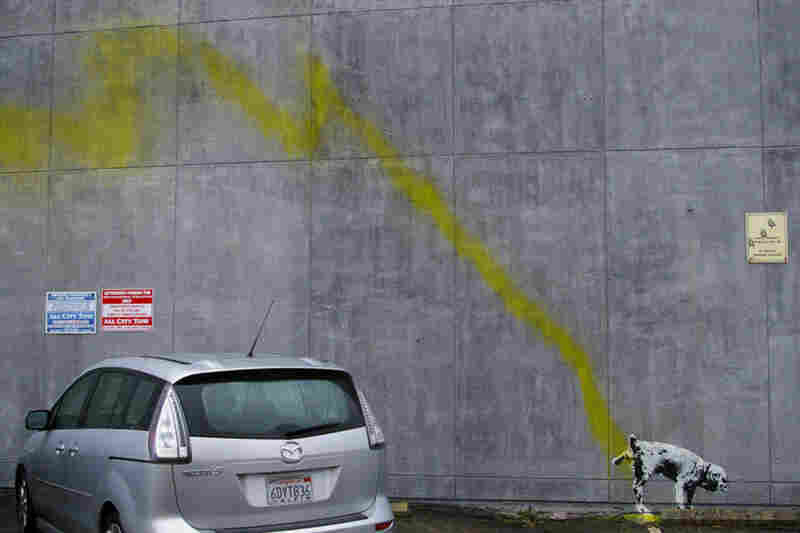 Banksy's antics make the producers of this year's Academy Awards show a bit nervous. "We're not absolutely certain that he's going to be in the audience. But if he is, we will make it easy for him to get there," says Bruce Davis, executive director of the Academy of Motion Pictures Arts and Sciences. Davis says the Academy has verified Banksy's credentials to get into the ceremony, but even he hasn't seen the artist's picture. "All we have is the same picture everybody else has," laughs Davis. "A guy in a hoodie or a full-head monkey mask." Davis says he's convinced Exit through the Gift Shop is a real documentary, not a hoax. And he made an agreement with the film's producer, Jamie De Cruz, that if the film should win, De Cruz will go to the stage. "And then we'll all wait and see what else happens. So we could have a moment on the Academy Awards." Is he anticipating possible shenanigans? 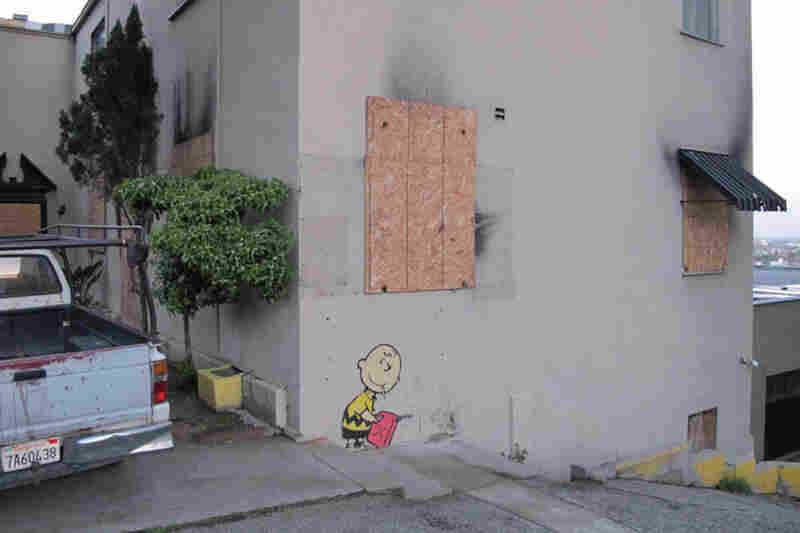 "I think with Banksy, if you're not anticipating shenanigans, you haven't been paying attention," says Davis. "Shenanigans are what he does." So now the question is whether Banksy will use the Oscars as his moment to reveal his true identity to a worldwide television audience on Hollywood's biggest night. 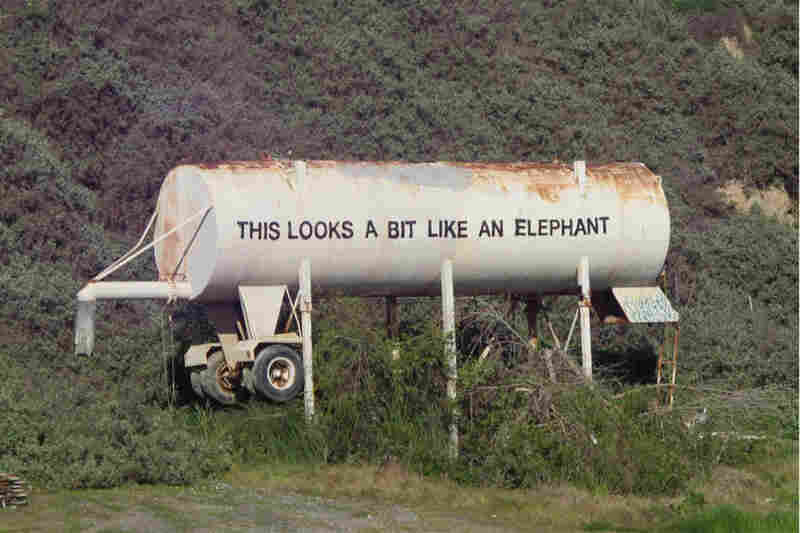 Banksy fans say they hope he doesn't. "That's part of the appeal. We don't know who he is," says Wright. "He might get arrested," adds Fernandez. Will Bansky win an Oscar and then be handcuffed? Will he blend into the audience incognito? Or will he just stay away from the red carpet all together? Tune in Sunday night to find out.